March Madness is not exclusive to basketball although some may tell you differently. 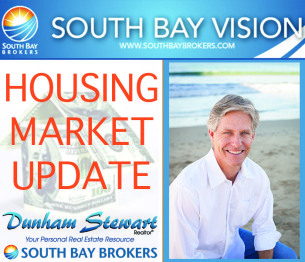 You will see from the articles included in this March South Bay Vision edition that the title also fits our current housing marketing. Millennials are making themselves heard by representing the largest number of recent buyers according to NAR REALTOR Magazine. Although interest rates have fluctuated, they remain at historic lows and lenders continue to ease up on credit restrictions. A fourth national market report has added to the evidence that winter inventories are extraordinarily—even dangerously—low. Realtor.com has joined RE/MAX, NAR and Zillow in reporting levels significantly below last year. Sales were also down dramatically from December. the number of home sales decreased 32.1 percent from a robust December and were nearly 5 percent below sales in January 2014, according to the National Association of Realtors. Typically, January closings are lower than those in December. Higher prices, coupled with weak supply, caused an unexpectedly large drop in January home sales. Most markets are struggling to achieve the proper balance of homes for sale and qualified buyers, said realtor.com. Low inventory has become a national challenge as homeowners opt to stay put longer—a record 10 years—rather than move up and move on. Most housing markets are appreciating in value as homes sell faster. In fact, prices increased 8.8% in January over 2014, according to the report. On a year-over-year basis, the Median Sales Price has now risen for 36 consecutive months. Price appreciation is the result of pressure from year-over-year inventory losses. Inventory has dropped by roughly 10 percent for the last three months. There is strong demand, but it is hitting a roadblock in supply. Potential buyers are saying they can’t find a home that meets their needs and/or budget. We are not seeing enough growth in inventory to support recovering demand Prices will therefore continue to rise in a market when demand outstrips supply. 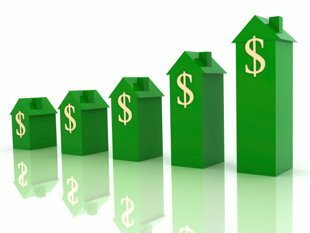 Home prices are beginning to grow at a faster pace again, which is not good for the spring market. Sticker shock was behind weak sales in 2014, but as price gains began to ease, buyers came back. Now prices are heating up again due to severely weak supply. 2014 pending home sales posted higher on a year-over-year basis for the first time since January 2013 and as expected, declined from the previous month due primarily to a seasonal slowdown toward the end of the year. Nationally pending sales were up 2.6 percent from the 69.1 index recorded in December 2013. The yearly increase was better than the six-month average of -4.3 percent from June 2014 to November 2014. California pending home sales dropped in December, with the Pending Home Sales Index (PHSI)* falling 21.9 percent from 90.7 in November to 70.9 in December, based on signed contracts. The monthly decline was in line with the seasonal slowdown in pending sales observed at the end of the year for the last two years. 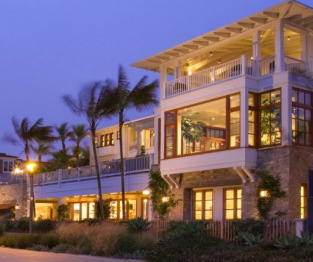 Locally Manhattan Beach, Hermosa, Redondo Beach and El Segundo posted increases in available inventory for January 2015 based upon closed sales. 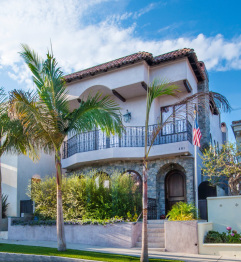 All but Manhattan Beach showed an increase in sales over the same time last year. Additional details on median price; properties for sale, sold (closed) pending; average price for sale as well as actual sold along with months of inventory available are just a click away below. Happy New Year to one and all. Wishing you and your families the best of everything for 2015. In addition to sales and economic updates both local and national, this issue brings you State of the City reports from the mayors from the cities of Hermosa, Manhattan and Redondo Beach. All three cities have major happenings you will want to become more familiar with as the year progresses. The Beach Reporter has challenged the beach cities mayors to convey our thoughts and ideas for 2015. Attempting to predict the future is always a daunting task, but I can say that Redondo Beach is on the verge of greatness! We enjoy a city that has an exceptional school system, police and fire departments that keep us safe, and a public works department that strives to keep us clean and functioning. 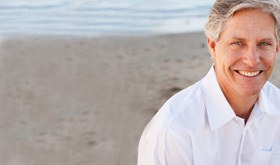 Daily, I speak with countless citizens who are extremely happy with life in Redondo Beach. 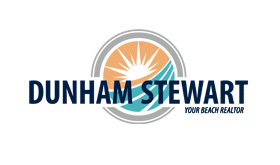 Most of the people in all of our wonderful beach cities are happy and friendly. Of course, that’s why we choose to live here. A common question sellers ask is “What can I do to get the maximum selling price on my home?” Since each home and every market is different, we, as your real estate professionals, can give you specific advice on your home. In general, however, if you’re willing to spend a little bit on some minor upgrades, a higher return on your investment can be significant. Paint. In terms of “bang for your buck,” paint is your best friend. Gone are the days when you should paint everything white, but covering smudged or dirty walls with a pretty neutral color (off-whites, grays, creams and earthy tones) brightens your walls, covers over a host of slight imperfections and freshens their look without breaking the bank. A contrasting color on trim and woodwork brings out architectural details. Add a new coat of paint on the ceilings — paint these white or a light off-white— to brighten and light up a room. Paint the front door, too! A bright, cheery front door adds a welcoming touch. Update light fixtures. Ceiling lights, vanity lights and exterior carriage and porch lights are inexpensive items to update. Often, larger home-improvement stores offer “contractor packs” of multiple light fixtures for a lower price, so you can update all the rooms. Change out electrical outlets and switch-plates. Simply updating outlets and outlet covers, light switches and switch-plates can give a home an updated appearance. As with light fixtures, electrical components often come in contractor packs. If you are not comfortable changing out the switches and outlets yourself and don’t want to hire an electrician, just change out the covers. Replace bath fixtures. New faucets, along with towel bars, hooks and other matching pieces bring a brand new look to most bathrooms. Make sure your shower curtains are clean, fresh and neutral. If you have the extra money, changing out the toilet for a new water-saving low-flow toilet is an effective upgrade. Along the same vein, if your lavatory sink is cracked, stained or chipped, you may want to switch it out for a new one. Kitchen hardware and faucet. Just as simply adding new fixtures improves the bath, a new faucet and fresh, updated hardware on your cabinetry can freshen and upgrade the feel of your kitchen. Make certain that cabinet latches are not broken and drawer glides all work properly. Re-paint painted cabinetry and clean and re-stain finished wood cabinetry. Fix or replace your front door. Sometimes paint is not enough. If your pets have scratched your front door, or it has dry rot, is swollen, or the layers are separating, consider replacing your door with a new one. In moisture prone areas, or for safety concerns, consider using a steel door, perhaps one with a decorative window. You can even give your steel door a wood look with a faux wood-graining kit. Upgrade your garage door. Especially if your garage door is visible from the front of your home, consider painting or upgrading your garage door. Lenders as well as the California Association of Realtors applaud Fannie Mae and Freddie Mac in their move to lower down payments to as little as 3 percent for first-time home buyers and permit refinancing borrowers to reduce equity to 3 percent to cover closing costs. Both programs are for fixed-rate loans given to first time homebuyers and those seeking to refinance. Fannie will start backing the loans as soon as December 13th 2014 while Freddie will start offering them March 23rd 2015. Luxury home prices in Los Angeles continued to soar in the third quarter, posting five straight quarters of double-digit gains, boosted by low interest rates and tight inventory, according to a survey by First Republic Bank. The biggest difference in the luxury market between now and a decade ago is that the world is smaller. Wealthy international buyers are scooping up second homes, investment properties and safe havens for their cash. And it’s easier for them to scout — and travel — the world to do so. High-end home sales are surging in “Silicon Beach,” too, with tech entrepreneurs and Bay Area transplants scooping up multimillion-dollar homes in Santa Monica, Venice and Marina del Rey. Many of the buyers work in the area and prefer walkable neighborhoods, relatively close to work, to the traditional hubs of Westside glitz. Then there’s the formerly sleepy South Bay. 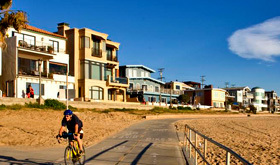 The average sales price in Manhattan Beach through the first nine months of the year topped $2.2 million. That’s up from $1.85 million in the same period last year. Even empty lots in the beach town’s “Tree Section” are going for $1.3 million. Prices have been climbing so fast that even fairly recent buyers say they’re lucky they got in when they did. Young professionals have played a big part in the South Bay’s surge, along with those in the tech industry who prefer a more laid-back scene than Santa Monica and a growing cadre of professional athletes. Then there are young buyers who walk in with trust funds or family money. A lot of folks in their 20s and 30s are coming in and claiming properties at $3 million or $4 million, sometimes all-cash. Luxury buyers are trending younger. Tech entrepreneurs and other wealthy shoppers in their 20s and 30s are gradually replacing baby boomers, who often weren’t as young when they earned enough to afford a big-ticket house. They’re looking for different kinds of homes — often with more outdoor space — and in different neighborhoods. And, we predict, they’ll be driving up the high end of the market for a long time. Although the interest rate on a 30-year fixed-rate mortgage rose slightly in September (to 4.16% from 4.12% in August), it was below the year ago rate of 4.49%. “Less rapid price gains taken together with low mortgage interest rates should help improve housing affordability through the remaining months of this year.” (Read more) Rates haven’t been this low since 2013 according to Freddie Mac. With a 30-year fixed-rate averaging 3.92% and 5-year adjustable rate mortgages averaging 2.91%, now may be the time to buy. Please enjoy. Should your plans include real estate purchase and sales, please call or email with questions – and as always, thanks for your referrals. The actual tax increase affects a property owner’s bottom line. Yearly property tax increases might push the cost of owning a home higher than the owners plan, or higher than their income can bear. Putting stress on property owners’ financial situation may make it more difficult for them to maintain their property. Homes in distress can bring down the value of an entire neighborhood. When homeowners vote to increase levies—such as those that provide local services, upgraded roads, improved schools or increased emergency personnel—they are voting to increase the value of their homes and communities, making them more attractive to buyers. 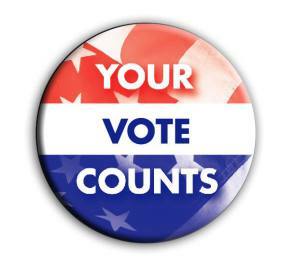 Voting for or against levies is a delicate balance between increasing an owner’s outgo with increasing the property’s value and the community’s desirability. Researching the fiscal impact of the levy you intend to vote on is an important first step in determining how it may affect your bottom line. Taxes based on the sale of goods typically spread the burden of the tax across both property owners and non-property owners. Sometimes, however, a sales taxis for a specific neighborhood or commercial area. If you own property in an area with a higher sales tax rate than one nearby, it can determine how easily you keep your space leased to shop owners since customers may choose to shop elsewhere. If you are new to home ownership, increases in sales taxes make purchasing furnishings and appliances more expensive. 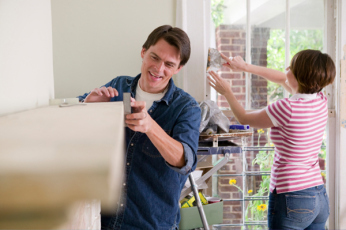 If you are considering upgrades and improvements, renovations or additions, a tax increase may expand your scope costs. Taxes specifically affecting homeowners include those like the one embedded in the Affordable Care Act. It taxes the capital gains income of upper-bracket homeowners that sell their home at a sizable profit and even taxes rental income from investment property. Decisions by both national and local elected officials—from state senators to congressional representatives, governors to county commissioners, city council members to school board members—impact the future levies imposed on local property. Knowing your candidates and how they hope to legislate their agenda can affect both your bottom line and your property values. Not only are elections about national and state officials, international and social concerns or party platforms—they are about local schools, streetlamps, parks and 911 services.